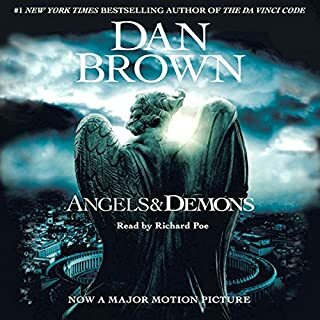 Yet again, Jim Dale brings to life this amazing universe that is getting progressively darker by every chapter. I can't wait to get my next credit and finish, once again, the saga that molded my childhood. Slytherin for life ! It's "totAlus", not "tOtalus"....smh...also, please don't distort the girls voices quite like that...I'm sure Hermione and Jinny were much softer spoken! Jim Dale does it again! Dale is as great as always! And I had to listen to this everyday. I was obsessed with the Half Blood Prince. Although I am disappointed with the direction Ginny's character took, I was delighted to be introduced to a character like Slughorn. Absolutely incredible, Jim Dale does it again! I shouldn't have doubted him! At first I was hesitant to give this a listen, but I was instantly immersed into the wizarding world of Harry Potter. Jim Dale brings the characters to life. One to go. It's hard not to have a bit of an internal freak out right now. What an adventure. What an amazing performance, from story-telling to character voices! HP and Jim's reading is worth it! 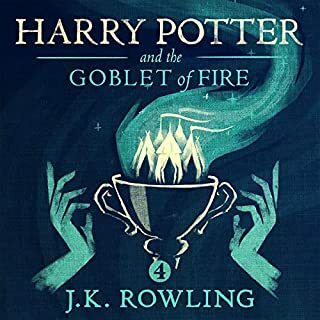 Jim Dale continues his masterpiece of narration, drawing the reader on, not as some storytellers do with a tone of gathering round the fire for a great tale, rather, as though seeing, experiencing each moment through the eyes of Harry, Dumbledore, and even Snape (ProFESSOR Snape, Harry!). 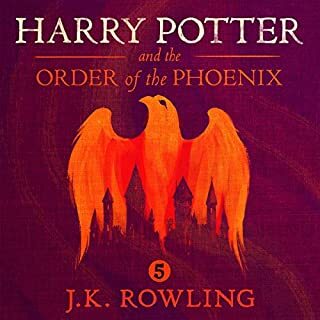 Having now Audibled (yes, that's a verb in our house) 6 of the 7 Potter books back to back (I'm binge-listening much the way I binge-read the books 12 years ago) I am utterly gobsmacked at Mr. Dale's tireless energy, emotion, pacing and character throughout this series. Every voice distinct, the children's voices maturing in style and tone over the years, the adults remaining flawlessly consistent and true. 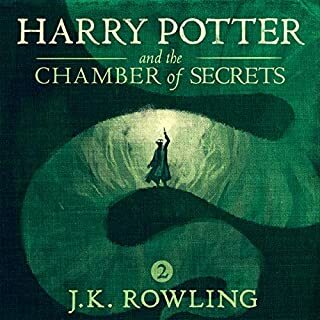 These recordings are a treasure for any HP fan, and will transport (or rather reapparate) you to that magical realm of Hogwarts, Quidditch pitches, Diagon Alley, Hogsmeade and Privet Drive. 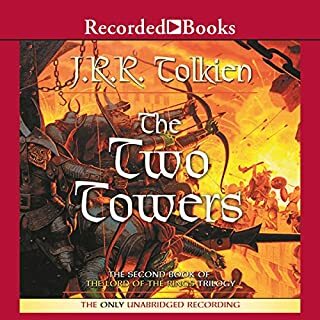 Thank you to Ms Rowling for making these favorites available to the Audible audience. And Bravo, Mr Dale. When Harry Potter and the Half-Blood Prince opens, the war against Voldemort has begun. The Wizarding world has split down the middle, and as the casualties mount, the effects even spill over onto the Muggles. Dumbledore is away from Hogwarts for long periods, and the Order of the Phoenix has suffered grievous losses. And yet, as in all wars, life goes on. Harry, Ron, and Hermione, having passed their O.W.L. level exams, start on their specialist N.E.W.T. courses. Sixth-year students learn to Apparate, losing a few eyebrows in the process. Teenagers flirt and fight and fall in love. Harry becomes captain of the Gryffindor Quidditch team, while Draco Malfoy pursues his own dark ends. 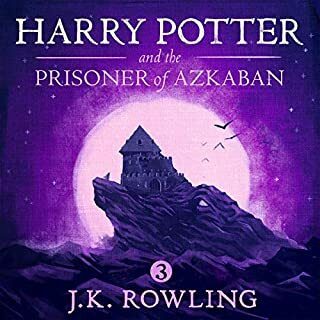 And classes are as fascinating and confounding as ever, as Harry receives some extraordinary help in Potions from the mysterious Half-Blood Prince. Most importantly, Dumbledore and Harry work together to uncover the full and complex story of a boy once named Tom Riddle—the boy who became Lord Voldemort. Like Harry, he was the son of one Muggle-born and one Wizarding parent, raised unloved, and a speaker of Parseltongue. But the similarities end there, as the teenaged Riddle became deeply interested in the Dark objects known as Horcruxes: objects in which a wizard can hide part of his soul, if he dares splinter that soul through murder. 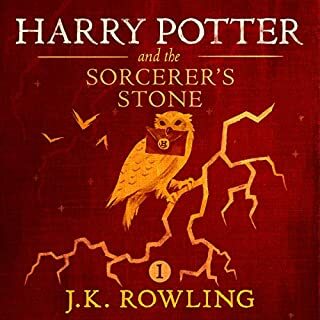 Harry must use all the tools at his disposal to draw a final secret out of one of Riddle’s teachers, the sly Potions professor Horace Slughorn. Finally Harry and Dumbledore hold the key to the Dark Lord’s weaknesses... until a shocking reversal exposes Dumbledore’s own vulnerabilities, and casts Harry’s—and Hogwarts’s—future in shadow. 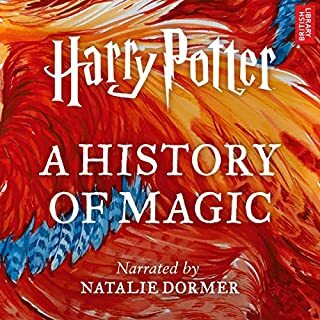 Jim Dale has done an exceptional job with the narrations of the Harry Potter series. His narratives only get better and better with each book. Story: This was always my favorite of the movies and the book certainly doesn't dissapoint! 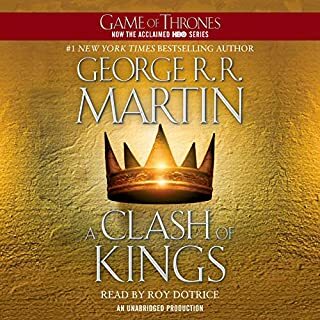 The plot continues to thicken and this particular book finally gets into some of the darkest aspects of the entire series. The character development is great and the story, like the other books, is beautifully descriptive, detailed and captivating. I found myself deeply invested in the struggles of Harry, Malfoy and the other characters. This book really gets a lot of emotions from the reader/listener. 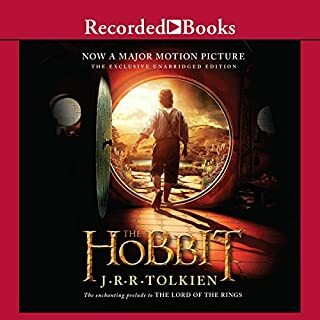 Narration: I gave this 4 stars as I didn't think all the voices were fantastic. I'm sure I missed this in the previous books since I was so into the story, but it's become clear that some of the female voices just aren't nearly as strong as the male voices. Luna and Ginny stand out, but I believe there was another female character in there that fell short of what I would have expected. Aside from that, the other characters and the way Jim Dale captures the emotions is great! Overall: Half-Blood Prince is simply phenomenal. 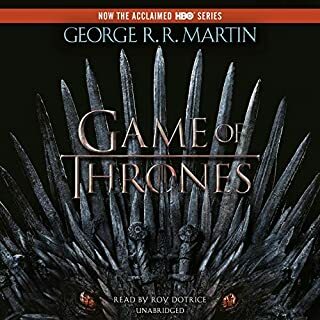 This book does a great job of explaining so, so much about the entire series. It also builds up to the final book which I've never read, but I'm sure will be amazing. 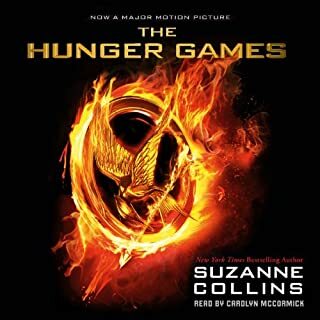 I'm a fan of this book in particular as it gets darker; you can feel the struggle and emotions of the characters and it's thrilling! A great novel and a great addition to the series. HBP is one of my favorite in the Harry Potter series. JK Rowling delivers drama, suspense, laughs, tenderness, and heartbreak. Kid’s series? Not at all. The plot over the series is complex, surprising, enthralling. 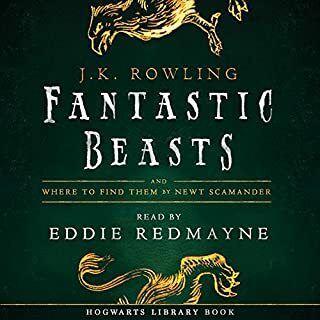 Jim Dale is a wizard of a whole different kind, bringing the story to life with wonderful voices and conveyance of emotion for the characters we love. I could not recommend his work more. 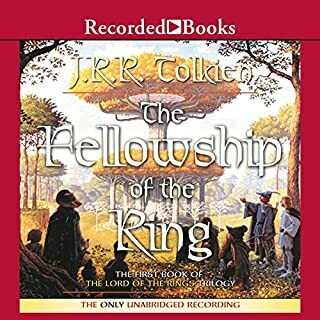 I've always loved these books, and I am so glad that they have FINALLY come to audible. Such adventure, and fun! Killing is not so easy as the innocent believe. 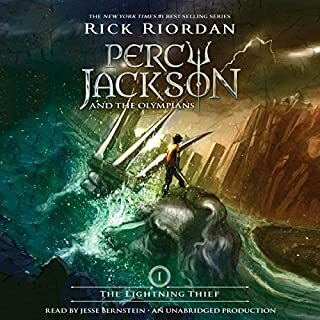 Probably my favorite book in the series. I think this is JK Rowling at the peak of her writing, confidence, and strength. She is dealing with older protagonists and deeper, darker themes. She is dealing with themes of treachery, loss, etc.. All things that are usually dealt with in adult novels, but glossed over in YA fiction. While the literary pedant in me will sometimes cringe at her numerous clichés, there still exists a place where I'm able to ignore the rough patches that a good editor might have corrected, but these are small peeves; similar to the irritations I feel for Star Wars. Speaking of Star Wars, THIS would be JK Rowling's 'Empire Strikes Back.' The best in the series. 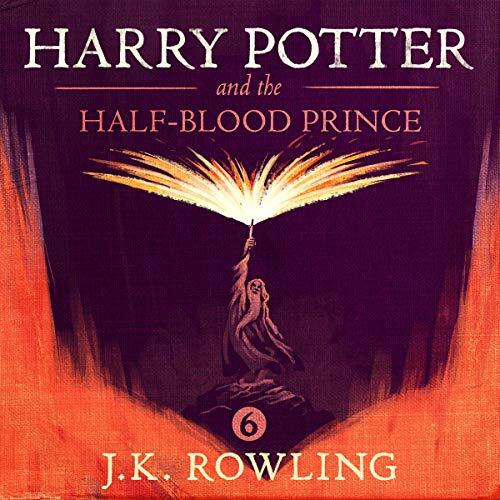 Would you consider the audio edition of Harry Potter and the Half-Blood Prince, Book 6 to be better than the print version? Absolutely yes!! 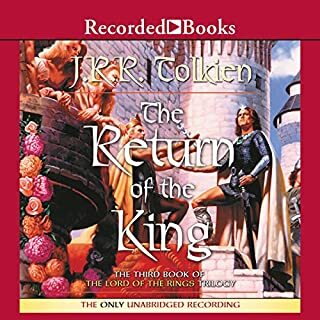 Jim Dale brings animation to the characters that is so high quality that the Audible version easily exceeds the movie version in terms of entertainment value. 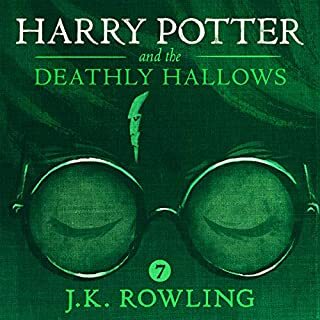 The increasing tensions both inside and outside the castle as Harry and his friends grow up and come to full awareness, by the end of the novel, that they are truly on their own in a world in which no one is now safe. Absolutely yes--and I almost did, reading when I wasn't able to listen and vice versa! You literally will not be able to stop, especially once you reach the pivotal confrontation near the end, and Harry's unforgettable announcement to his friends after the major losses he and they have suffered. This novel is part of a larger series, of course, but also can stand alone as an excellent read for adults young and old. This one is DEFINITELY not a children's book! very addictive book series. 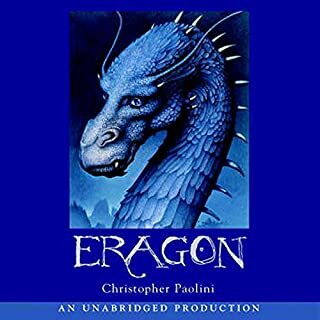 great details, plot, and phenomenal narrator. I would recommend the entire series! The best narrative ever! He does voices for everyone. It makes it so much fun!